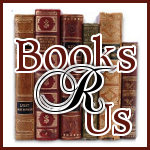 I want to welcome James D. Sanderson to Books R Us. James is the author of The Angelic Mysteries and is touring the blogosphere. Thanks for stopping by. More is at stake than her wings when the beautiful angel Sarah finds herself grounded in New York City. She is accosted by a man she believes is an anti-angel – one who would capture her and take her into the dark underworld. Fortunately for her as she flees to Europe she meets a man, Daniel Allman, who is willing to travel along with her and offer some protection. Allman, however, is fleeing his own demons – the specter of madness that runs in his family. He is confronted with the possibility that none of this may actually be happening at all. There is no going back for either of them, it seems. Lets learn more about Sarah. I don’t even know where my name came from. I like it though. Sarah. There is something romantic about my name. But when people ask about my mother or father, I have no idea how to respond to them. I tried to explain it to Daniel, I really did, but he seemed to understand even less than anyone else. Leave it to me to run into such a skeptic. Actually, Sarah has always been my name. There has never been a time I know of that I was not called Sarah. It means something different in heaven though, I think. Sarah was Abraham’s wife in the Bible, of course, and the name itself if from the Hebrew for ‘Princess’. But a princess on earth is one who is honored for being born high-up in society, while in heaven the name has more to do with servant hood. That’s what makes me the perfect guardian, I guess. The name fits for that, don’t you think? Many stories are told about angels but not many of them are very accurate. Angels are not born as humans are. We are created and have always been. Our encounters with humans have been relatively recent, in fact. I recall my very first assignment with human beings. They were the first man and first woman – Adam and Eve. They had become hopelessly lost in the harsh land to the east of Eden and I helped them find their way. The morning after they were expelled from the Garden both of them paused for a long moment to look out over the land around them. Behind them the smoke and fire at the gates of the Garden that had seemed so near the night before now was far off. The black smoke was on the distant horizon. Far beyond that – a mere dimple on the skyline – was the mountain they had called God’s Throne. It was part of a great range of peaks that bled off into the distance, purple and indistinct. The hillock they stood upon led down into what looked to have been a river valley; dry now. As they descended they slid in the rough rock scree and were forced to steady themselves with their hands. Adam was pricked by the spine of a tiny cactus and he held his palm to his mouth and tried to force the black spine out with his teeth. At last he succeeded and he rubbed his palm against the thigh of his skin robe. They reached the bottom of the slope now and began to follow the dry stream bed along, generally to the south. Here, they were confronted with a world that was so different from the life they had led in the Garden that both of them felt slightly unhinged from their former identity. Nothing was as it had been. They were no longer who they had been. The life they had lived was no more, and yet they had no idea what their life ahead might lead them to. As they passed under gigantic overhangs of rock and the infinite sky overhead, they seemed to be passing through time – from one time (the time that had been) – into another. Distances were deceptive here. They walked the entire long day before they reached the other side of the bowl and came upon a ridgeline of rotted rock and crumbling outcroppings. They lay down in the sand at the base of this rise just as the sun was blotted out by the distant line of the horizon. The next morning they climbed the outcropping to the top of the ridge. Ahead was more of the same. Rock sculptures were thrust up here and there with colors that were so muted they almost could not be called colors. There were layers of light red and pink and brown and tan all fused together into one grand effect. When the yellow sun hit them, they seemed to be transformed into even more indescribable hues. A sense of emptiness plagued them all that day as they walked along the floor of this immense flat expanse of dirt and rock. Only the shifting colors of the rocks – red, yellow, brown, confirmed that they were actually moving forward. An eagle flying far overhead was a major event. They found no water that day and by nightfall their tongues were thick with thirst. The next day the land changed again and I managed to lead them without their knowledge to a narrow stream that ran down between the rocks. They drank as much as they could hold – their bellies were bloated by the time they had finished – and then they began to follow the stream down into a wide valley that was strung along with greenery because of the water. Who knows what would have happened to humankind if I had not been there to lead them to water. Anyway, my story goes on like that over the centuries. I go wherever I am needed and I could tell you some interesting things all right. (Perhaps one day I will write my angelic memoirs, who knows?) But my most recent story (the story Mr. Sanderson relates in his ‘The Angelic Mysteries’), begins with the trickery of Morton Toombs. I was in New York City following my charge Daniel Allman when I found myself getting turned around in the dark alleys and streets. I recognize now what I did not recognize then – that Toombs had drawn me into an elaborate labyrinth from which I could not escape. In this way he clipped my wings and brought me into an earthbound existence. I am still not certain exactly how he did it. Then, when he had me completely lost and without my superpowers (as it were), he tried to get his hands on me. I knew very well what would happen if he did. But let me leave all that to your reading of ‘The Angelic Mysteries’ which is being released on August 18th. Mr. Sanderson is a capable storyteller and he has written very well the story I have just begun for you. I do hope you will continue reading it there. Oh and by the way, you can keep up with Mr. Sanderson and his writing on Facebook. Copyright © 2011 by James D. Sanderson. All Rights Reserved. 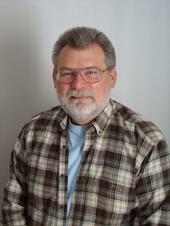 James D. Sanderson is an author living in SW Colorado with his wife and they are raising a granddaughter. He has written two novels in the past -'Mirabilia' and 'The Angelic Mysteries', and one nonfiction book 'Called To Love'. His novel 'The Angelic Mysteries' has been completely re-written ("For the better, I assure you", he says), and is available as a novella on Kindle. 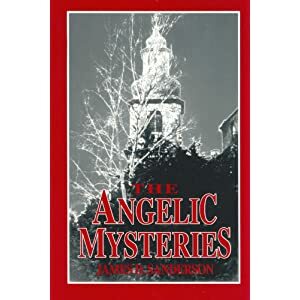 A screenplay of 'The Angelic Mysteries' is also complete and James D. Sanderson will be looking to market it to film production companies soon. He is currently working on a collection of short stories about nonviolence and the nonviolent revolutions that took place in 1989, called 'Sacred Are The Brave'. It will be out in the spring of 2012. He loves to travel, hike, camp, read, blog, and watch movies. "I have been a writer all my life and love to read classic literature," he says. "I hope my readers will love my work as much as I love writing it." Stop by tomorrow for my review of the Novella.